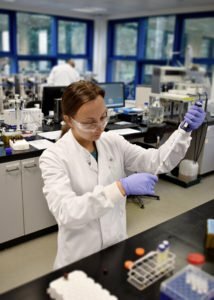 Congratulations to Jade Smith who is an Apprentice Laboratory Technician at Abcam a rapidly expanding bioscience organisation in Cambridgeshire. Jade works in the Purification and Conjugation team, she has just been nominated as an East of England Finalist in the National Apprentice Awards. We have other Level 5 apprentice opportunities at Abcam apply here.